What do the stars have to say about love, career and health for Cancer in February 2019? The sun has great things in store for Cancers in February. The sun will send its beneficial energies freely to the sign.. Mars will also send plenty of energy to Cancers and awaken their courage and willingness to take risks. The sun will be in the sign Aquarius through February 18th to form a quincunx aspect. This is a neutral position from which the sun will be able to shower down its vital energies over Cancers without restriction. Things will get even better as the life-giving star moves into the sign Pisces on 1/18 to form a favorable trine. This means the sign will feel a boost of vitality and capability through the end of the month and beyond. You will feel healthy and balanced during this time, have a positive mental state and a healthy attitude towards material things. You will be better able to make decisions as well, act in the right way for any situation, and feel the need to assert yourself. Mars, the planet of energy will be in Aries through February 14th and in a square aspect. This means Cancers can expect to receive very strong energy from the planet. Your job is to channel it in the right way. You might tend towards outbursts of anger during this time, but you will find your athletic endurance has increased as well. You will have more endurance at work, just as long as you can make sure you’re not disturbed. On 1/14, Mars will move into the sign Taurus to form a positive sextile. Cancers can expect well-balanced energy during this time, and they will feel courage, an interest in risk-taking and a lust for adventure. They will also feel motivated to work and feel strong sexual desires, as Mars is the planet governing male sexuality. Jupiter will focus the sign’s attentions on education during the first 11 months of the year, as this will be the best time for such pursuits. It will form a quincunx aspect, which will encourage Cancers to think about reorientation. 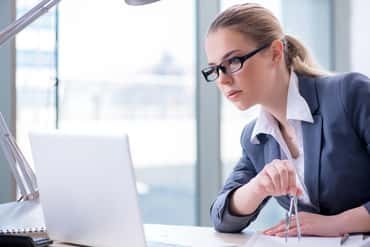 If you are feeling less than satisfied at work, for instance, now is a good time to consider whether you might want to change jobs or continue your training to become a specialist in your field. Saturn will be in opposition to Cancer throughout the entire year, so you should expect to face delays and obstacles. Your job is to not lose patience and to not let yourself be deterred from your goals. If you succeed, you will be guaranteed to have developed and improved your character over the year. Mercury will be in the sign Aquarius through February 10th, which is a neutral position. This means you will be able to complete your work without any disruptions. After 2/10 Mercury will then move into the related water sign Pisces. As it forms a beneficial trine, it will create excellent conditions for general communication, your professional life, and anything related to finances. You will be able to express yourself clearly in writing and speech, will feel mentally strong and will make new contacts. Opportunities for travel, visits, and interpersonal contact will come up again and again. Venus will be in the sign Capricorn except for the first three days of the month and will be in opposition to your sign. This means any affairs of the heart might not be entirely satisfying. However, there are other things that can stand in for love. You may tend towards wastefulness, and since your good taste will be disrupted during this time, you should be very careful when making any purchases. Things will get better soon.